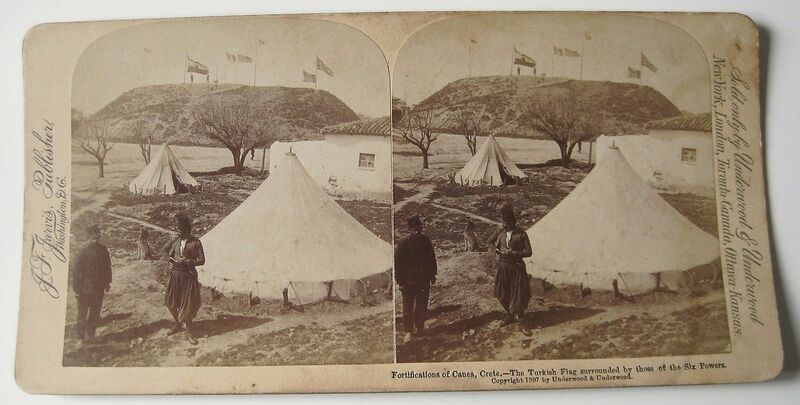 British Army | The British in Crete, 1896 to 1913. In 1890, Rudyard Kipling first published his poem ‘Danny Deever’ in which he described the execution of a British soldier in India for the murder of a comrade. In the poem, the murder’s battalion is obliged to watch while the man is hanged, and then to march past the corpse. 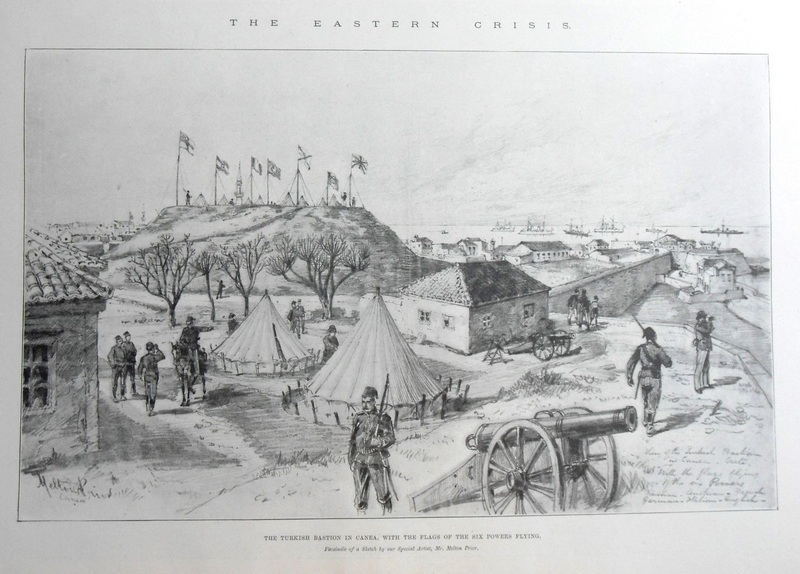 Although a fictional account apparently based on a real execution, the poem clearly reflected the military practice of the time. 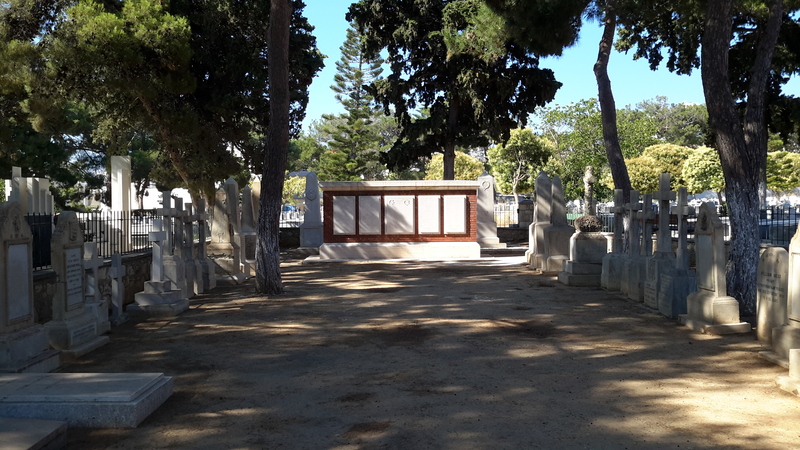 The churchyard of Agios Konstantinos and Eleni in Iraklion, contains the memorials to the majority of the British servicemen who died on Crete during the European Intervention. Inscribed on both the memorial wall and the battalion obelisk of 2/Rifle Brigade is the name of Acting Serjeant F. G. Austin, Number 1774, who died on 16th March 1899, aged 25. Memorial Plaque. Agios Konstantinos and Eleni, Iraklion. 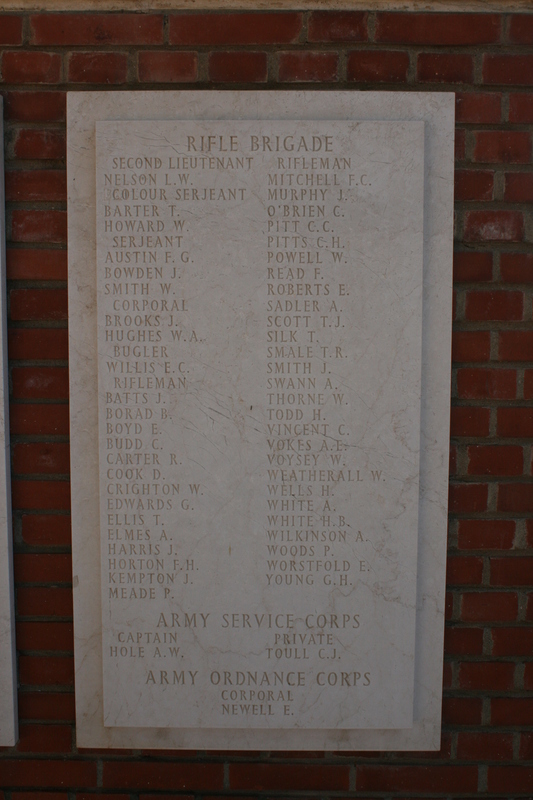 Rifle Brigade memorial obelisk. Agios Konstantinos and Eleni, Iraklion. 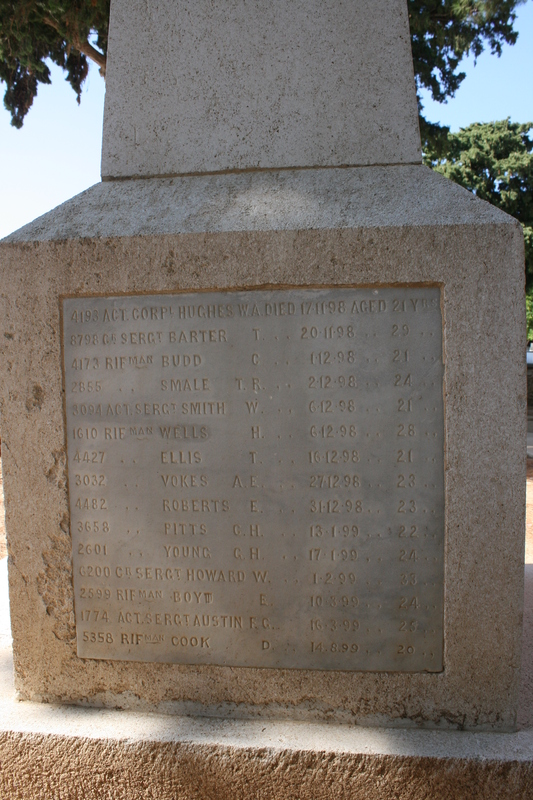 What makes Austin different from the other 150 or so servicemen commemorated in the churchyard is that he didn’t die of disease, enemy action or accident; he was murdered by a comrade. It’s not known if Lance Corporal Chippett was familiar with Kipling’s poem, but it’s clear that, on this occasion at least, Kipling knew what he was talking about. 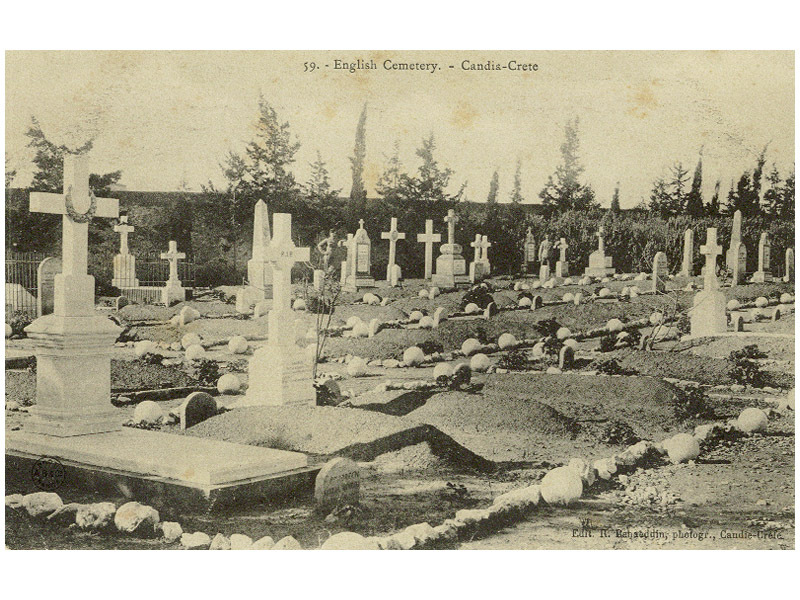 This entry was posted in British Army in Crete, European Intervention Crete and tagged 2/Rifle Brigade 1899, British Army, Danny Deever, European Intervention Crete, Rudyard Kipling on October 11, 2015 by Mick McT. Having nothing better to do…. One answer was to keep the men busy with sporting activities. While the officers could indulge in cross country paper chases on horseback and sailors indulge in gymkanas and other such activities, the infantry were left to make do other less expensive sports. 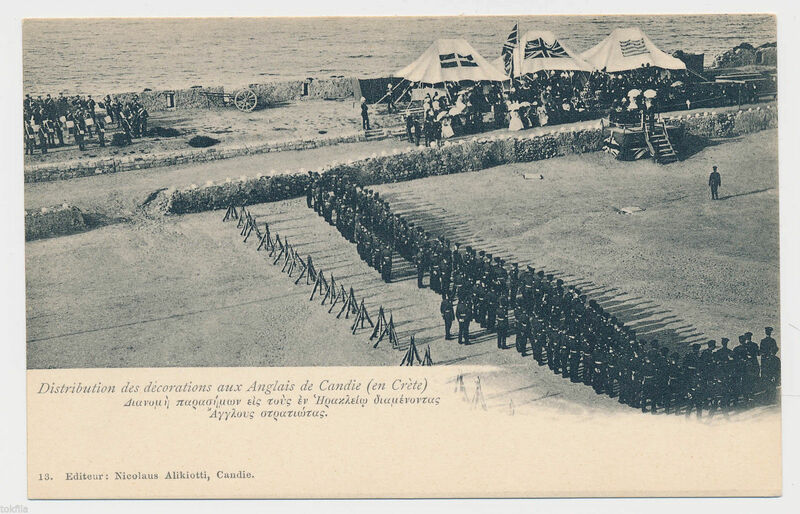 The St. Georges Gazette, details an extensive range of sports laid on for men serving in Crete in 1898/1899, including Battalion Aquatic Sports which featured a swimming race open to the Garrison and Navy, Water Polo and an aquatic Tug-of War. There was also, inevitably, football – a competition for the ‘Chermside Cup’ being won by the Royal Welsh Fusiliers – tug of war, putting the shot and hockey. 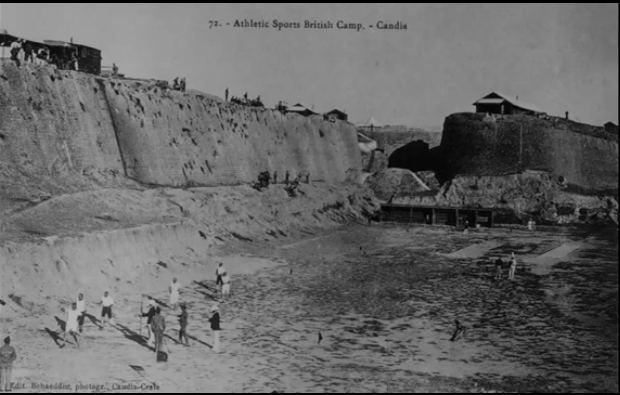 Regimental sports days were held in the ditch below the ramparts at Candia, events including a ‘stone and bottle race.’ Additionally, on one occasion the Sergeants of the Northumberland Fusiliers challenged their Regimental Warrant Officers and the Petty Officers from H.M.S. Fearless to a ‘double match’; a competition involving football and whist. I can find no record of the Cretan reaction to the British indulging in ‘stone and bottle’ races. *Northumberland Fusiliers Regimental Archive. St. George’s Gazette, 31 January 1899, page 6. ** House of Commons Command Paper 1898 [C.8936] Army Medical Report for the year 1897. Volume XXXIX, p.80, and Command Paper 1899 [Cd.521] Army Medical Report for the year 1899. Volume XLI, p.75. This entry was posted in British Army in Crete, European Intervention Crete and tagged British Army, Candia, European Intervention Crete on August 15, 2015 by Mick McT. British get their medals back to front? 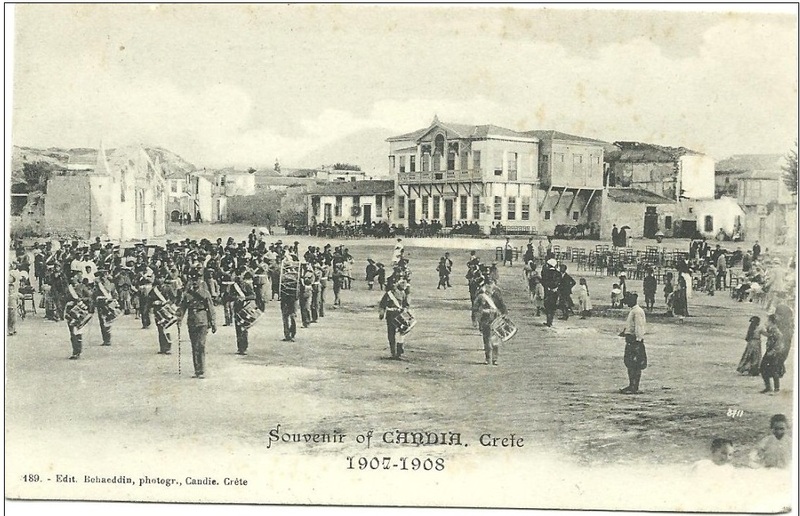 No date on the photograph but given the presence of the flag of the Cretan Autonomous State, it’s definitely after December 1898 and the presence of the Greek flag suggests it’s post 1908. 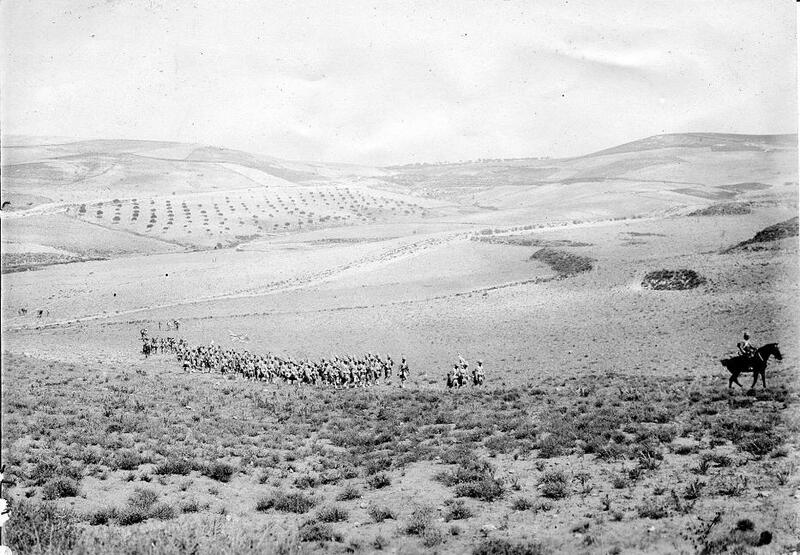 Nice view of the parade; pity that the photograph appears to have been printed back to front. 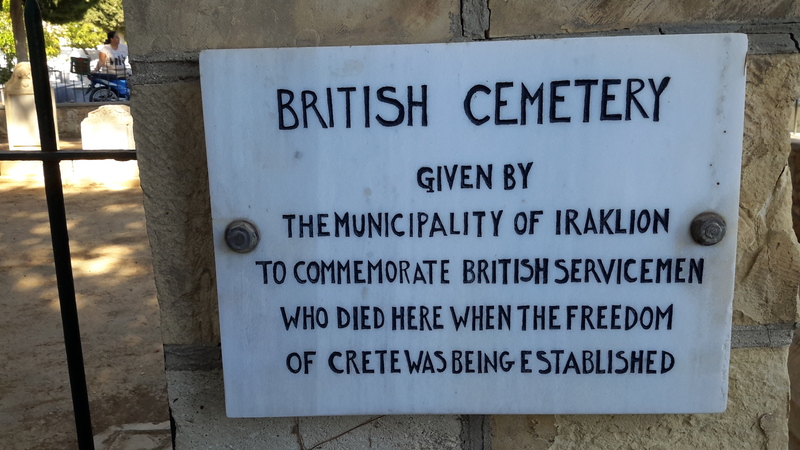 This entry was posted in British Army in Crete, European Intervention Crete and tagged British Army, Candia, European Intervention Crete, Iraklion, medals on August 23, 2014 by Mick McT.